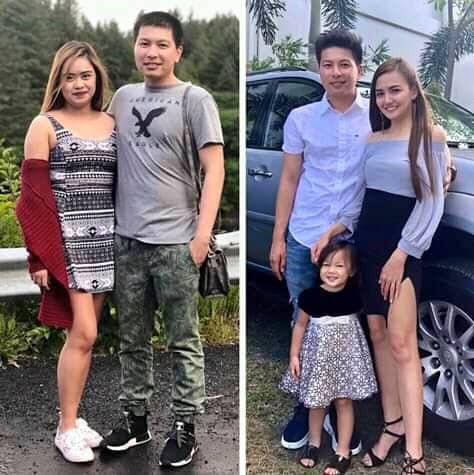 Sa isang Facebook page, nagsalita na ang babaeng third party umano sa isang viral post kamakailan. Ayon kay Maggie Mae de Jesus, dahil sa dami ng pamba-bash na kanyang natanggap online, minabuti nalang niyang mag-deactivate ng kanyang mga social media accounts. Hindi naman siya nagmamalinis at inaamin niya ang kanyang kamalian. Hindi man daw siya kasingganda ng legal wife, may mabuting puso daw siya. Ikinuwento rin niya kung paano sila nagkakilala ni Nathan Barte na kanyang katrabaho. Ayon pa sa mahabang mensaheng kanyang binahagi, naging malapit sila sa isa't-isa bilang sila ang naging magkaramay sa nararamdaman nilang pangungulila sa kanilang mga mahal sa buhay. Narito ang kanyang buong post. 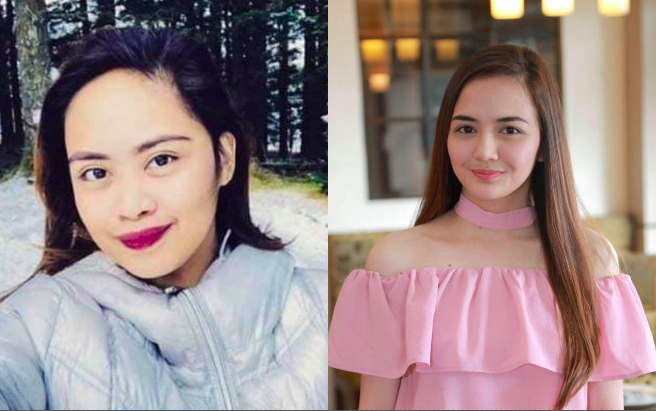 "This is the real Maggie Mae de Jesus, the viral "KABIT" that you are talking about. I created this page to sincerely apologize to the family I put on grudges. Beware of all catfish because I temporarily disabled all my accounts on social media for privacy reasons, I am not here to do silly things but to admit the things I have done wrong. I know you won't believe my side because upon the story of Mrs. Marian Clarisse Santiago Barte I am the worst; when i know i don't. I am here to stand my side but also to admit my wrong. I can't take it anymore, all the insults from the people depending on what i look. I know i'm not that pretty as the wife, but i know i have the heart of gold. Please hear me out. "Nathan Barte" the man I wasn't expecting to put me into this worst, I met him on a job where we both are working. He was the one who first approached me asking me if I wanna have some coffee outside, but because it was my leissure time at work I agreed upon his request. Both of us became closer and closer where almost everyday we spend fun time together longing for our family far from a distance. until one day he open up everything to me, he told me that he has a wife and a child that he misses so much and at first i wasn't really expecting him to open up with me about this certain things but i really appreciate it from the thought that it's like he was a long term bestfriend talking up upon the life that he has with his family. He was so calm that day where he almost spend all the rest of the night with me doing nothing but kept on talking things upon the history of our lives. Till the day came where it's like everyday every minute he always looks at me even at work, he always makes time on checking me, he always ask me if how i'm doing even if he can just see me at the office, he always stares at me as if it was something that's unusual for the both of us. That moment i know myself that i shouldn't assume something about his actions and i know that from the moment i would, i could wreck a family. He then told me that he likes me, but i denied the term and told him that he was just confused because he was far from a distance with his family but he kept on saying things that it's not about the distance it's about who's willing to take care of someone, then he got me there. He told me everything his wife couldn't gave him, all her runts, her complaints about the money, her judgements towards him and everything. he even told me that she couldn't even say things that he was longing. I'm sorry for the words Mrs. Barte but that's what your husband are telling me. Every day he kept on showing me the care that i am searching for, he was so kind, pure , sweet and handsome not knowing that i was already falling for him. Yes i know, I am "marupok" I am "kabit" I am "ugly" I am "not perfect" and that's my fault. That's why I admit it and I am here to take all the responsibilities on what i did. Go on, bash me. I know it's my fault but I already cut ties with him. I am so sorry for the Barte's family. I know it's not that easy to forgive me but it takes time, I am a girl and I am also a victim of the truth. I am so sorry.